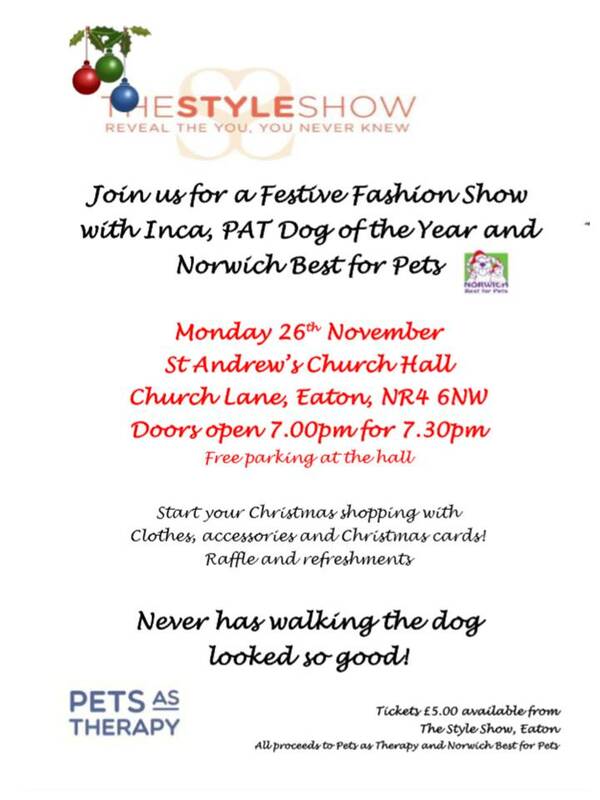 Michele Neave is an Eaton Resident and the local organiser for Pets as Therapy and Norwich Best for Pets. 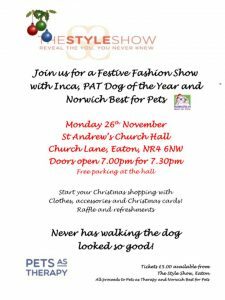 The Style Show are holding a fashion show on Monday 26th November at St Andrew’s Church Hall at 7pm to raise funds for the charities. See poster below for more information about the show.